Distractions are free and abundant in the digital world we live in. Some of them are annoying and others simply entertaining. Sadly, many of them are negative when it comes to getting new patients’ attention and genuine interest. Truth be told, that visitor you want to convert into a patient is a human being, who, just like you, has a short attention span. People aren’t willing to waste too much time. So, is your website considering this valuable insight? A good to great website is way more than fancy designs, colorful themes, and innovating widgets. What the visitor wants is to get to the right information, have a great user experience, and move on in life. If you want your dental business to grow, its website must have these boxes checked. As we already said, the vast majority of visitors on your website have a short attention span while other simply don’t want to waste their time by unfruitfully searching for the information they are needing at the moment. So, having this in mind, you must pay extra attention to how convenient and accessible are your dental business’ website and the information showed in it. Are the key features at hand? Will be the visitor capable of finding what he or she is looking for? Is it possible to find this information in less than 15 seconds? All these questions are highly relevant and are the key to spot possible issues. We invite you to make an honest analysis of your own website. Visit it and think as a visitor, spotting this way those elements that are out of place or simply inaccessible. The right move is to give exposure to the most relevant information for the patients. If your dental office’s website was made a few years ago, please, look for help right now. Web design has developed really fast during the recent years, making most sites on the Internet out-of-date. Internet development continues, changing parameters without notice, restless as always. Now, the problem is that the most people on the Internet can notice the differences. If they visit other dental business with a fresher web design, you will immediately become the less reliable alternative. Yes, that’s it: people judge businesses by their online presence these days. An out-of-date website is easily recognizable. This isn’t something you can simply hide with a few touch-ups. Attention to aesthetics is key if you want your dental office to have an effective presence on the Internet. 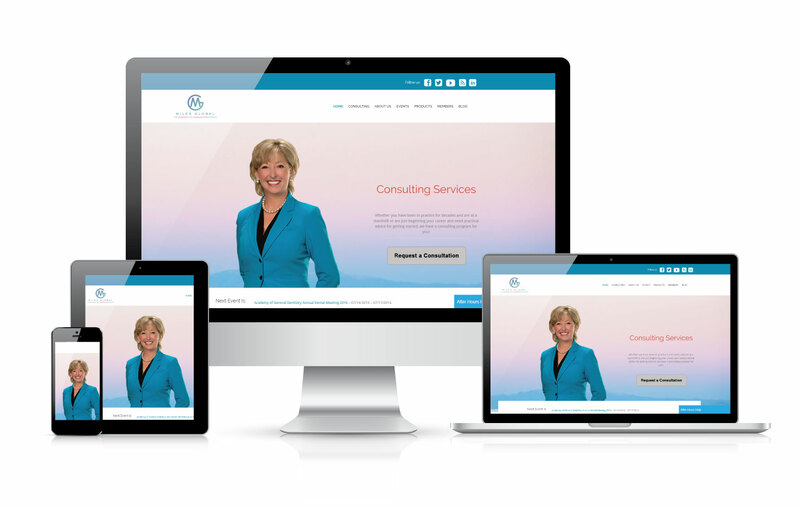 It’s time to point out some improvements your dental office’s website could be needing today. These, with the proper assistance, aren’t hard to implement. Let’s take a look. Convenient Online billing platform: Patients can make payments without leaving their houses or offices, fully digital. “Make an Appointment” button: By adding a few of these buttons, you can make patients’ lives easier. They can quickly spot these elements and achieve what they want without spending too much time. Videos: There is no better way to connect with the visitors than with a well-edited video, posted on the main site or landing pages. More on this later. Facebook: This social network remains as the undisputable leader; there is no question about it. By creating a Facebook page, the patients can connect in a more social way. This allows you to interact directly and share content. Photos and Bio: New patients love to know the doctor and the staff before getting to the dental office. It’s considered an effective marketing practice to post updated photos and bios about the working staff. MedChat: This marvelous resource allows the visitor to quickly interact with the staff, leaving all the hassle and the extra waiting behind. Many patients could be thinking “I don’t want to call you to find out if you take my insurance”, “I don’t want to click to request an appointment, I want it right now”, or “I don’t want my co-worker hearing me on the phone, doing personal business.” These are valid questions and you have the duty to give them a proper answer. With MedChat in my office, we’re gaining new patients who may have moved away within 15 seconds. MedChat pops up in 8 seconds and engages the patient. It’s easy for my staff to use, and new to the dental world. Patients love it! If they’re scrolling thru my site, it follows them and helps provide an online form of dialogue so patients’ questions are immediately answered. We’re also able to meet the needs of our existing patients who may be in a setting where they cannot call. Go to www.GetMedChat.com and tell them Rhonda sent you so you won’t have to pay a setup fee.